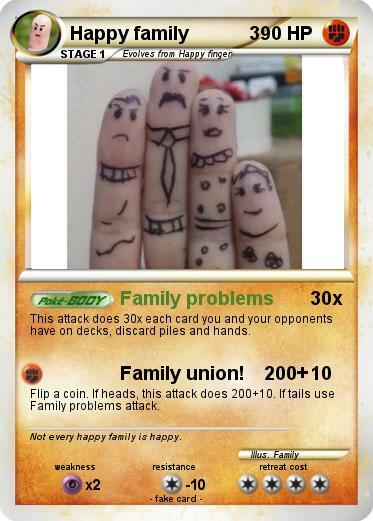 This attack does 30x each card you and your opponents have on decks, discard piles and hands. Flip a coin. If heads, this attack does 200+10. If tails use Family problems attack. Comments : Not every happy family is happy.